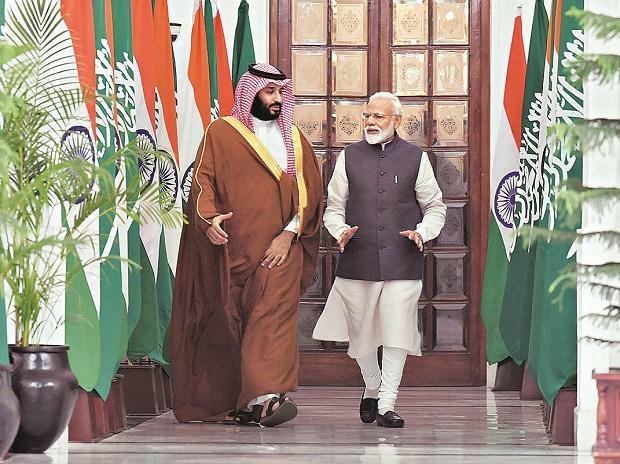 For a moment leave, aside the immediate context that has overshadowed Crown Prince Mohammed bin Salman’s (MBS’s) visit to New Delhi – the Pulwama attack and its Pakistan connection. The visit has actually been very fruitful and is yet another indicator that Prime Minister Narendra Modi’s West Asia policy remains the one area of achievement in an otherwise indifferent record of foreign policy. That said, it is important to acknowledge that Modi is building on the legacy of his predecessors – Atal Bihari Vajpayee and Manmohan Singh. Balancing relations with Saudi Arabia, Iran, Israel or Qatar is never easy, but New Delhi has managed to do it with considerable success. Instead of torpedoing legacy, as it did in its relationships with China, Pakistan, or for that matter Nepal, the Modi government has built on it. In some ways this is brought out by the chief guests that India has had for the Republic Day. In 2003 it was President Mohammed Khatami of Iran, in 2006 it was King Abdullah bin Abdul Aziz al-Saud, and in 2017 it was Crown Prince Mohammed bin Zayed al Nahyan. The reasons for this are not too far to seek. West Asia or the Middle East is the most important external region for India from the point of view of its security and its economy. It is the closest source of hydrocarbons for a country which needs to import them in considerable amounts. Sixty-three per cent of India’s oil imports are from the region, but equally important is that some seven million Indian nationals work in the Saudi peninsula sending back remittances worth $40 billion to the country. He referred to India’s establishment of formal relations with Israel in 1992 by Prime Minister Narasimha Rao, as well as his own government’s strong support for the “Palestinian struggle”. Then, as now, he referred to India’s quest for a Comprehensive Convention against International Terrorism (CCIT). Over the years, the relationship with the UAE has gathered strength. Modi has made two visits to the country in August 2015 and February 2018, while the Crown Prince of Abu Dhabi Mohammed bin Zayed al Nahyan (the de facto ruler of UAE) has visited India in February 2016 and as chief guest of the Republic Day in January 2017. India’s ties with Israel have taken off in the tenure of the Modi government, but this is not an unusual development. If Modi was the first Indian prime minister to visit Israel, it was Vajpayee who invited the first Israeli prime miniser, Ariel Sharon, to visit India. Defence ties, too, go back to the Vajpayee years when India acquired Israeli UAVs, Barak SAMs and the Phalcon AWACS systems. What may have changed somewhat is the tenor of the relationship between the two hard-line rightwing leaders – Benjamin Netanyahu and Narendra Modi. Yet, though Modi signalled proximity to Israel by refusing to combine a visit to Israel with one to Palestine, he did make an Indian prime minister’s first-ever visit to the West Bank next year and spoke of the Indian commitment to Palestinian interests. In December 2017, India was one of 128 countries who voted for a resolution calling on the US to withdraw its move to recognise Jerusalem as the capital of Israel. Shortly after his Gulf tour that took him to Abu Dhabi, Dubai, Muscat and Ramallah, and the Israeli prime minister’s visit to New Delhi, Modi received President Hasan Rouhani of Iran in New Delhi in early 2018. Modi’s visit to Iran in 2016 had set the stage for the development of India-Iran ties when the two countries finally put up money to build and operate Chah Bahar and committed itself to develop a rail link from there to Zahedan. All this happened despite the well-known antipathy of US President Donald Trump to the Iran nuclear deal and the American decision to not just pull out of the deal, but impose stringent sanctions on Iran. India made it clear it would not stop importing oil from Iran, though several Indian companies began complying with US demands. Subsequently, in November 2018, the US gave India and six other countries a waiver to temporarily continue the purchase of Iranian oil. Energy and expatriate labour are the obvious leit motifs of Indian policy towards the region. But both India and the Gulf states want to move beyond this. They are keen to diversify their economies, and they see the growing Indian economy as a good place to invest in. At the same time, Indian companies and professionals seek good prospects in the opportunities that are being opened up by GCC countries. Both MBS and the crown prince of Abu Dhabi see themselves as leaders who will herald a new era in their respective countries. Modi’s visits have led to a flurry of investments in India. In 2018, the Abu Dhabi National Oil Company and the Saudi giant Aramco agreed to take a 50% stake in the $44 billion refinery that India was building in Ratnagiri district of Maharashtra. Both have also expressed an interest in investing in India’s natural gas sector as well as the second phase of the Indian strategic crude oil reserve. Earlier, the Abu Dhabi Investment Authority put $1 billion into a special HDFC affordable housing scheme and $1 billion into the National Infrastructure Investment Fund. Now the Saudis have indicated that they will put money into the NIIF as well. New Delhi cannot be oblivious to the task of the security of its oil sea lanes and its expatriate population in the region. Very obviously, stability is the most important goal of Indian policy in this volatile region. Right now, that stability is being undermined by our good friend the United States which, in association with the Saudis, appears bent on bringing about a regime change in Iran. Moves in this direction could bring the already fragile peace in the region crashing down. No matter how you look at it, this will have consequences for India, none of them good. Crunch time could come when the American waiver period expires in May 2019. American officials say there will be no extensions. As it gets squeezed, Iran could walk out of the nuclear agreement, triggering an American-Israeli response. India will be in the midst of general elections at the time and will find it hard to come up with an adequate policy response. Manoj Joshi is Distinguished Fellow, Observer Research Foundation, New Delhi.